A limit on the amount of fluid you drink is sometimes required when the kidneys aren’t working as they should. A fluid limit helps to keep your heart and lungs safe when the kidneys aren’t able to get rid of fluid. A fluid restriction may be prescribed to some kidney patients who are not on dialysis. Most, if not all dialysis patients must limit fluid intake. Oftentimes, a fluid limit allows the body to continue with its normal processes until dialysis can remove fluid that has collected in the body since the last treatment. Be certain to check with your doctor or dietitian to learn about how many ounces or cups of fluid you can safely drink each day. To start, the fluid you consume includes anything liquid at room temperature. Often, you think of drinks such as water, tea, coffee and juice. However, items like ice and ice cream, popsicles, nutritional drinks, gelatin and soups are liquid at room temperature and should also be included in your daily fluid count. In addition, meeting and not exceeding the fluid limit requires some careful planning especially when eating out. Here are some tips to help make dining out while limiting fluids a little easier. Restaurants, whether sit-down or fast food, offer large drinks with sizes ranging from 12 to 32 ounces. Often times, even the kid’s cup is at least 12 ounces. At a popular fast food restaurant, the small is 16 ounces, medium is 21 ounces and the large is 30 ounces. Restaurants offer different sized glasses and may even offer several types of drinks over the course of the meal. Choose a smaller cup such as a juice glass or even a kid’s cup. A smaller cup also provides a “stop and think” moment in between refills. Ordering a smaller cup even if the larger one comes with your meal can cut down on the amount of fluid you take in. Depending on the fluid limit prescribed by your doctor, using a smaller cup can allow you more glasses of your favorite beverage throughout the rest of the day. Aside from offering larger cups, many restaurants offer unlimited refills. Limiting the number of refills can reduce the total ounces of fluid throughout the day. At a sit-down restaurant let the waiter know you don’t want a refill or place a napkin over your drink to avoid automatic refills. When getting something to drink at fast food or in the convenience store, comb the store for the smallest cup. Also, don’t be afraid to ask for a smaller cup; the kid’s sized or water cup may not be out with the other sized drink cups. Planning to have just one serving of a drink can help you stick to your fluid goal, keeping you safe and healthy. Monitoring the sodium content of the foods you eat can also help you meet your fluid goal for the day. Sodium can make you feel thirstier, and restaurant meals will likely contain more sodium than home-prepared ones. Check restaurant menus online for sodium content. Larger chain restaurants will have their nutrition information online. 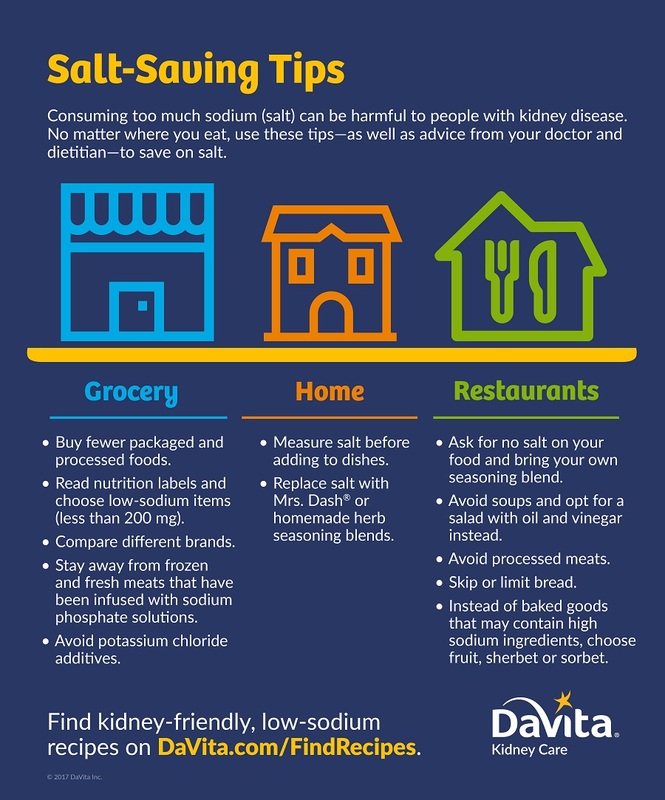 Checking this information before you go and selecting the lowest sodium items will ensure you don’t overdo it on sodium when eating out. If the restaurant’s menu isn’t online, stick with meals without added seasonings, sauces and cheese. Ask for the sauce or seasoning on the side and add just enough to taste. Ask for your food to be prepared without added salt. Limiting the amount of fluid and sodium you take in each day is easier with a little planning ahead. As you get more comfortable asking for smaller cups and avoiding excess refills, meeting your fluid goals will become a breeze. 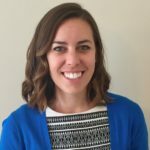 For more information on sodium and fluid watch this fluid video featuring DaVita dietitian Leah. What are your most helpful fluid tips? Enjoyed very much the presentation by Leah. Learned some tricks. I have 4th stage kidney disease at age 85 and my kidneys eliminate the many cups of water I drink every day. I make sure I drink water before each urine elimination every 2 hours at night to prevent dehydration and “prime the pump”. This post is not specific for congestive heart failure, rather to people who are unable to urinate to eliminate fluid. You are fortunate your kidneys can still remove fluid. Many dialysis patients no longer urinate and must rely on dialysis for fluid removal.